← Falling to Your Doom? Careful Not to Pull a Trapezius. 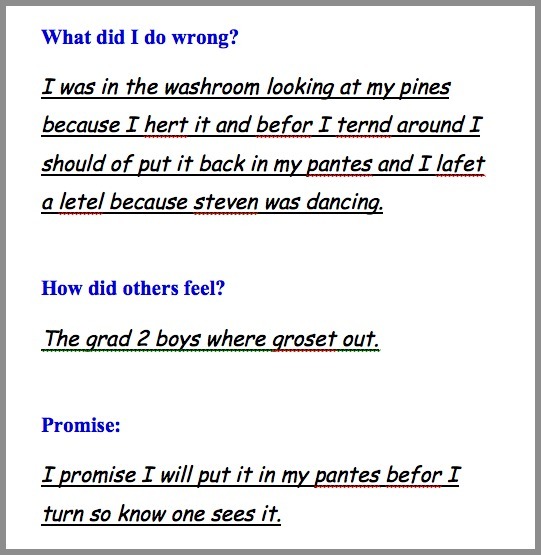 Posted on July 20, 2011, in School Confessionals and tagged Chase McFadden, funny kids, humor writing, Leanne Shirtliffe, School Confessions, School Notes, Stuff Kids Write, Stuffkidswrite.com. Bookmark the permalink. 7 Comments. That is one funny bathroom confession I have ever heard! Thanks for sharing! Zip it up! Haha, this gave me a good laugh today. OOoooh kids. lol. This is hilarious! I only worry that Jared is going to have some sort of complex now.